In response to a growing need to popularise science and to create excitement about space technology in young people, MultiChoice and Eutelsat have been collaborating over three years on a unique pan- African student competition called the DStv Eutelsat Star Awards. In Accra, Ghana, last night, the broadcasting industry and high-profile government members convened at the Golden Tulip Hotel for the announcement of the final winners of this year’s edition. Stakeholders unanimously expressed their commitment to investing in the future of education and to instilling a passion for technology and the sciences in the younger generation. 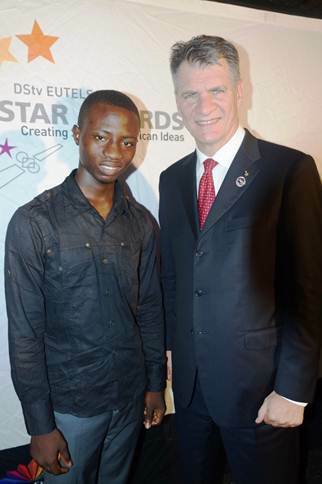 Of 1000 entries from 19 countries, this year’s DStv Eutelsat Star Awards winner Francine Mazala (Zambia) stood out as the winner of the essay category and has won a trip to Paris and onwards to a launch site to witness a rocket launch into space and runner up in the essay category was Eshlin Vedan (South Africa)who wins a trip for two to visit MultiChoice facilities and the South African Space Agency near Johannesburg, South Africa. In the poster category, first place is Lloyd Ossei Baffour (Ghana) who will visit Eutelsat in Paris and runner up in the same category is Angel Gabriella (Uganda). The four winning schools attended by the overall award winners and runners-up respectively were also rewarded with a DStv installation, including dish, television, state-of-the-art PVR decoder and free access to the DStv Education Bouquet. The DStv Eutelsat Star Awards comprises national and international adjudication. The first assessment of entries is at country level with a panel of local judges selecting country winners and runners-up who go through a round of preliminary judging which culminates in the selection of the final winners. 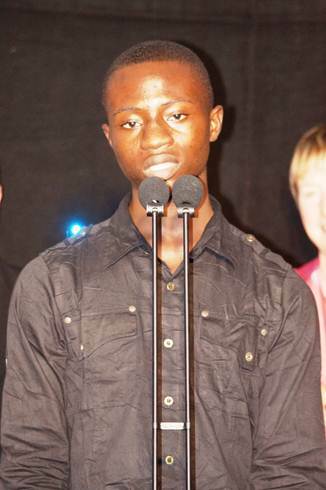 Ghana’s Lloyd Ossei Baffour wins DStv EUtelsat Star Awards top prize 0 out of 5 based on 0 ratings. 0 user reviews.